WEST FARGO – The World of Outlaws Craftsman Sprint Car Series will return to Red River Valley Speedway in 2019 for the Gerdau Recycling Duel in the Dakotas. 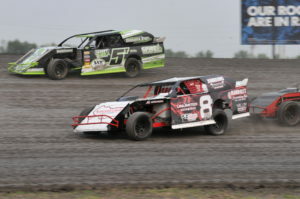 The event scheduled for Saturday, August 17th will mark the third consecutive year and 33rd-time overall dirt track racing’s premier touring series will visit the West Fargo high-banked three-eighths-mile clay oval. Fargo’s own Donny Schatz scored his first World of Outlaws win at the speedway since 2006 when he won this past August. Schatz, who started third on the grid, made a late-race pass on young Outlaws star, David Gravel of Watertown, Conn., to take the lead and eventually the win in front of an estimated 6,500 race fans. Along with his win at Red River Valley, Schatz also swept the June and August events at River Cities Speedway in Grand Forks. Those three wins in his home state were a part of a 22-win season for Schatz – his sixth consecutive season of winning at least 20 events. 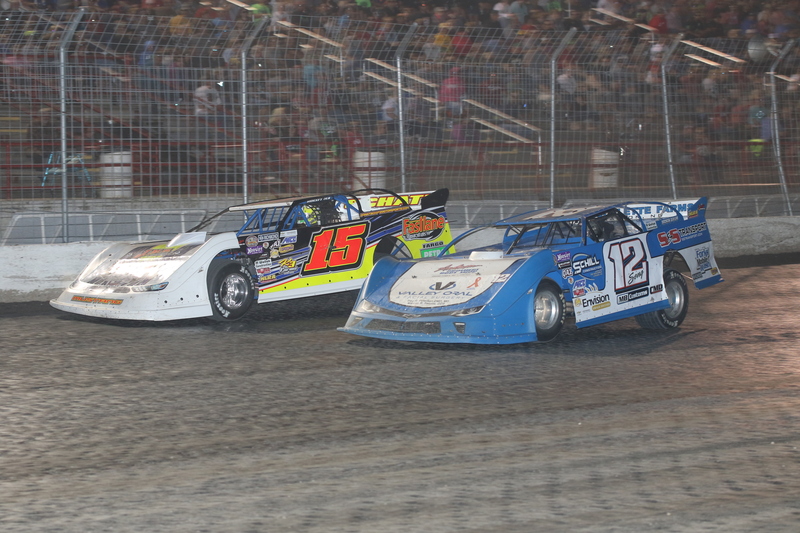 The Northern Late Model Racing Association (NLRA) will co-headline the event with the Outlaws again in 2019. 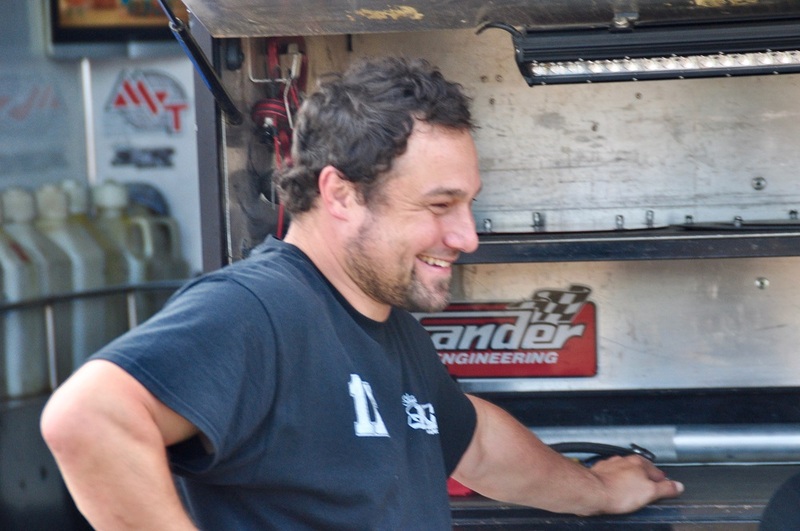 As he’s done in the past, Schatz is expected to compete in both the sprint car and late model divisions. In last year’s late model feature, the Fargo driver led nine of the 25 laps but eventually fell to veteran Grand Forks driver, Brad Seng, and finished third. Tickets will be available this spring at slspromotions.com. Red River Valley Speedway has already released their tentative 2019 schedule for Friday night IMCA-sanctioned racing. This upcoming season will be the seventh year of competition on the three-eighths-mile configuration and the fourth year operated by Nick Skalicky and Jake and Sharnel Bitker. 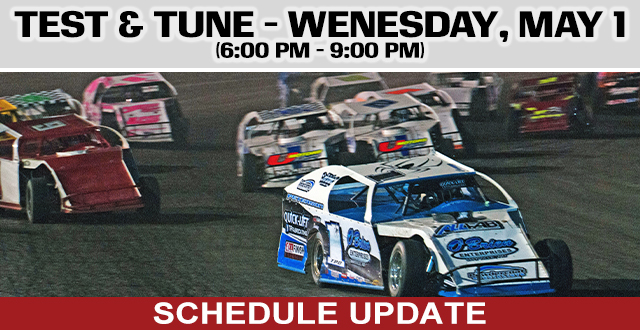 Highlights on the schedule include the season opener on May 3rd, the Red River Valley Fair special on Sunday, July 14th featuring the Buffalo Wild Wings Northern Outlaw Sprint Cars and season championship night on August 30th. More special events are expected to be added as the season gets closers. A total of 17 race nights are on the schedule thus far. The event will mark the 33rd A-Feature event contested by the series at the track, dating back to 1981. A total of 14 drivers have picked up A-Feature wins with the series at the track during that span. Schatz has won at least once at every track in his home state of North Dakota that the World of Outlaws Craftsman Sprint Car Series has competed in. He raced with the Outlaws for the first time at Red River Valley Speedway as a teenager in 1993, finishing 15th. In the World of Outlaws Craftsman Sprint Car Series return to Red River Valley Speedway in 2017, the late Jason Johnson picked up the win. In 2018, Schatz claimed his 10th World of Outlaws championship on the strength of 22 wins. Brad Sweet finished second in points and racked up a career-high nine wins, with David Gravel in third, Pittman in fourth and Shane Stewart in fifth. Logan Schuchart, who won two races in 2018, was sixth in the standings, with Sheldon Haudenschild, who had five victories in seventh. Ian Madsen, the 2018 Kevin Gobrecht Rookie of the Year Award winner, was eighth in the standings, with Brent Marks, who won three times, in ninth and Kraig Kinser in 10th. 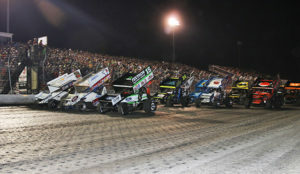 Ticket information for the 2019 “Duel in the Dakotas,” featuring the World of Outlaws Craftsman Sprint Car Series at Red River Valley Speedway in West Fargo, N.D., on Saturday, August 17, 2019, will be available soon at www.slspromotions.com. WEST FARGO – Red River Valley Speedway’s 48th season of weekly racing came to a close Friday night. The pit area was packed with 90 race teams checked in for action. Tyler Peterson of Hickson, N.D. came from 11th to win his fourth IMCA Modified feature of the season at the speedway. Entering the night, Peterson sat third in points, 10 markers out of the lead. With the win, Peterson edged out both Rich Pavlicek and Darren Pfau by one point to claim the Modified title. Peterson had to go toe-to-toe with perennial powerhouse drivers, Rob VanMil and Casey Arneson. The lead changed five times between the three drivers with Peterson making the pass for the win on lap 11 over VanMil. A stout field of 23 IMCA SportMods made up the field for their 18 lap main event. Brandon Tendeland grabbed the early lead, but a restart on lap three shook up the running order. A three wide battle for the top spot ensued between Tendeland, Charlie Jensen, and Reile Sailer. Jensen grabbed the lead as Sailer slid into second. Matt Talley of Sabin, Minn. moved into the second spot with eight laps remaining and set his sights on Jensen. Talley, who started eighth on the grid, quickly reeled in Jensen and took the lead on the following lap. Once out front, Talley checked out and picked up his second win of the season at the speedway. Eleventh starter, Luke Johnson, finished second as 20th-place starter, Paul Colvin, rounded out the podium. Johnson was awarded the SportMod track championship. The NLSA Lightning Sprints made their first-ever appearance to Red River Valley Speedway. The series travels to tracks across North Dakota and Minnesota and races weekly at Greenbush (Minn.) Race Park and Buffalo River Race Park in Glyndon, Minn. Alex Truscinski of Greenbush led every trip around the high-banked three-eighths-mile dirt oval. He had an early challenge from Zak Kwiatkoski, but eventually pulled away to score a convincing win. 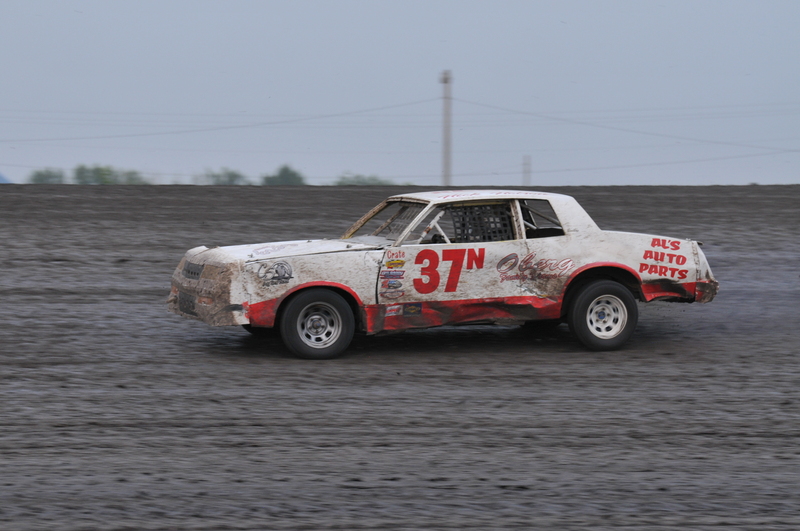 The IMCA Stock Cars, which are relatively new to the region, had one of their largest fields of the season to close out 2018. Just as he did the night before at Norman County Raceway in Ada, Minn., Rob VanMil of Barnesville won both the track championship and the feature. After being sent to the tail of the field for causing a caution on lap two, VanMil charged his way through the field. VanMil fought his way back into contention in the closing laps. A caution with three to go was the difference maker. VanMil went three wide with Brandon Schmidt and Rick Schulz on the restart. VanMil grabbed second from Schulz before moving by Schmidt for the lead with two to go. VanMil collected his division-tying fifth win of the season at the speedway and won the championship by a mere seven points over Schmidt. 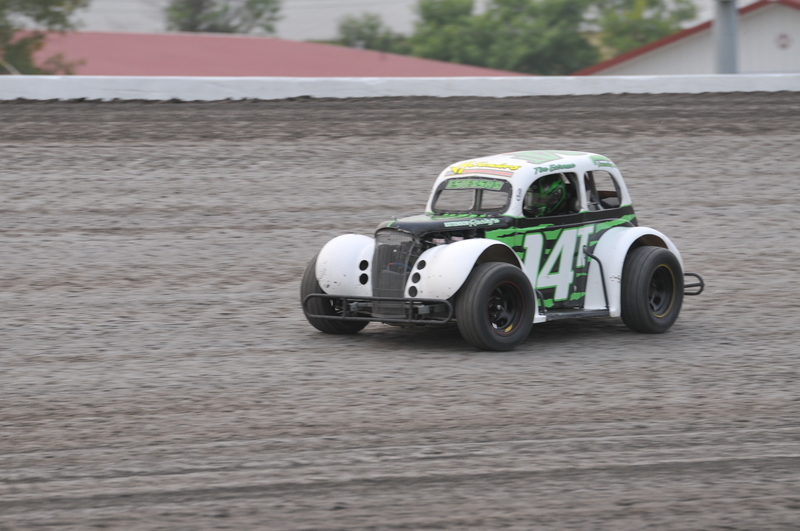 For the past two seasons, Fargo’s Tim Estenson has been unstoppable in the INEX legend division. That trend continued on Friday as Estenson raced to his 26th win of the season, 52nd career win overall, and the Red River Valley Speedway track championship. Estenson had to fight with Kaitlyn Skalicky in the early going. The two drivers swapped the lead throughout the first half of the race before Estenson claimed the spot for good with six circuits remaining. IMCA Hobby Stock rookie, Alyssa White grabbed the lead on the opening lap of the feature. Maranda Borg led lap two, but she was surpassed by Adam Goff of Minot, N.D. on lap three. Goff went on to claim his fourth win of the season. Tim Shiek finished second and secured the hobby stock track championship. Feature – 1. 1TPO-Tyler Peterson, Hickson, N.D.; 2. 10-Casey Arneson, Fargo, N.D.; 3. 40-Rob VanMil, Barnesville, N.D.; 4. 7-Dale Kraling, Mayville, N.D.; 5. 174-Rich Pavlicek, Casselton, N.D. Feature – 1. 5T-Matt Talley, Sabin, Minn.Sabin, Minn.; 2. 8J-Luke Johnson, Moorhead, Minn.Moorhead, Minn. ; 3. 33-Brennan Urbach, Englevale, N.D. Englevale, N.D. ; 4. 13C-Paul Colvin, Horace, N.D.Horace, N.D.; 5. 5-Scott Jacobson, Fargo, N.D. Fargo, N.D. Feature – 1. 40 – Rob VanMil, Barnesville, Minn.; 2. 4S – Rick Schulz, Horace, N.D.; 3. 18 – Mike Anderson, Walcott, N.D.; 4. Brandon Schmidt, Hillsboro, N.D.; 5. 21 – Tim Church, Glyndon, Minn. Feature – 1. 10-Alex Truscinski, Greenbush, Minn.; 2. 17K-Zachary Kwiatkoski, Grand Forks, N.D.; 3. 16-Josh Abrahamson, Moorhead, Minn.; 4. 93-Kelsi Pederson, East Grand Forks, Minn.; 5. 11-Dexter Dvergsten, Greenbush, Minn. Feature – 1. 14T-Tim Estenson, Fargo, N.D.; 2. 8JR-Kaitlyn Skalicky, Fargo, N.D.; 3. 72-Tye Wilke, Detroit Lakes, Minn.; 4. 58-Sean Johnson, Kindred, N.D.; 5. 5-Dean Julsrud, Barnesville, Minn. Feature – 1. 30A-Adam Goff, Minot, N.D.; 2. 31X-Tim Shiek, Fargo, N.D.; 3. 14-Alyssa White, West Fargo, N.D.; 4. 106-Eric Novacek, West Fargo, N.D.; 5. 73-Maranda Borg, Harwood, N.D.
WEST FARGO – A crowd of nearly 6,000 race fans packed the stands Saturday night at Red River Valley Speedway for the World of Outlaws Craftsman Sprint Car Series’ only appearance of the 2018 season. 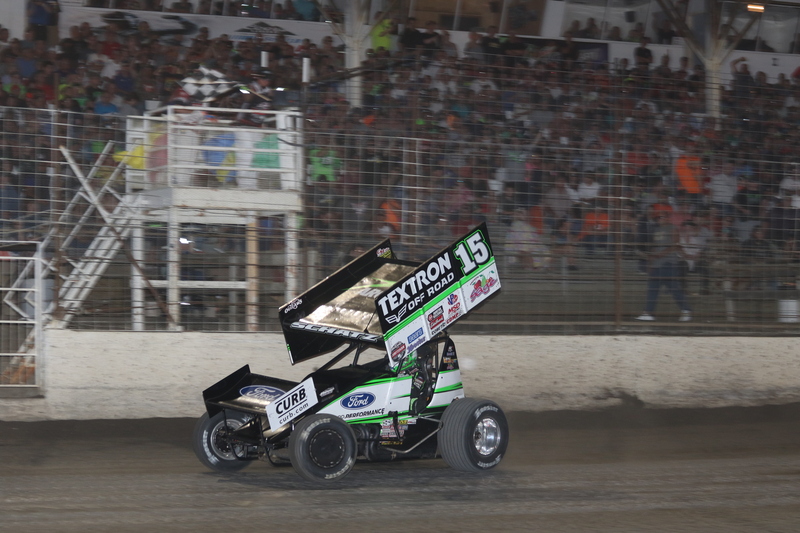 The crowd was cheering on Fargo driver and current World of Outlaws point leader, Donny Schatz, and he did not disappoint. 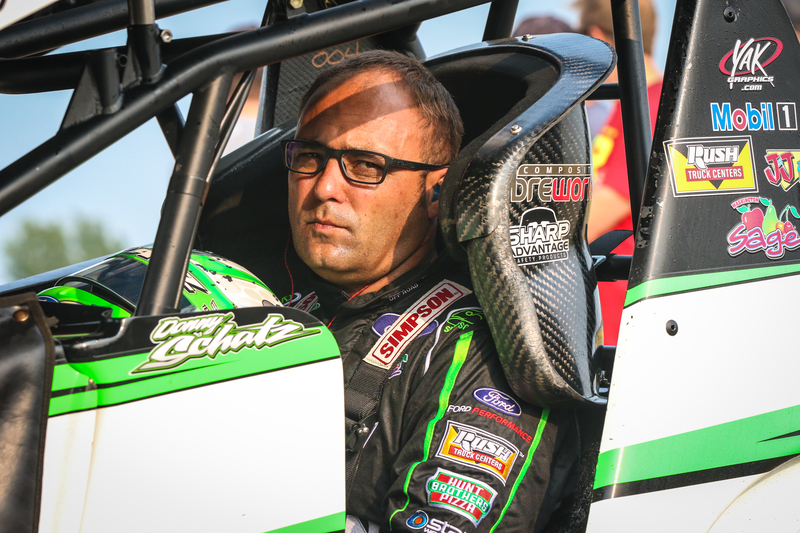 A focused Donny Schatz sits in his Tony Stewart Racing sprint car before hot laps at Red River Valley Speedway in West Fargo on Saturday. Schatz took the lead with just seven laps remaining to pick up his first World of Outlaws win at his home track since 2006. Schatz began the night by setting the fastest lap in time trials with a lap of 13.230 seconds around the three-eighths-mile oval, averaging 102mph. From there, Schatz won his heat race and finished third in the Sears/Craftsman dash, which earned him the third starting position for the 30-lap, $10,000-to-win feature. 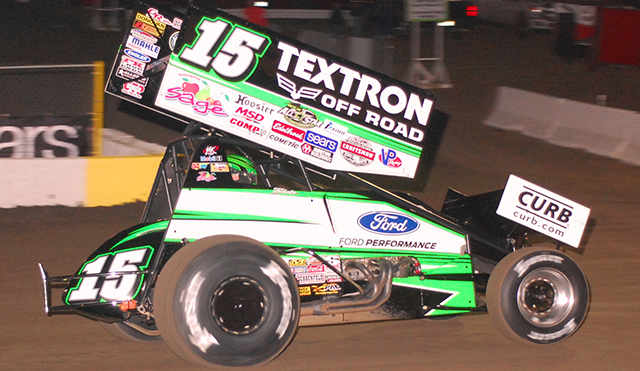 Donny Schatz of Fargo rounds turn three at Red River Valley Speedway during World of Outlaws time trials. Watertown, Connecticut’s David Gravel jumped out to the early lead over Jacob Allen of Hanover, Pa. Gravel and Allen battled for the top spot for the first half of the race until Schatz reeled both of them amidst lapped traffic. Local competitor, Thomas Kennedy of Winnipeg, Man., had started 12th on the grid but was running sixth when he spun on lap 18 to bring out the caution. On the restart, Schatz moved by Allen for second before taking advantage of the next restart on lap 23. The Fargo driver dove to the inside of turn three and slid across the track to take the lead away from Gravel exiting turn four. Two laps later, Gravel’s strong run came to an end after he suffered a flat right rear tire. 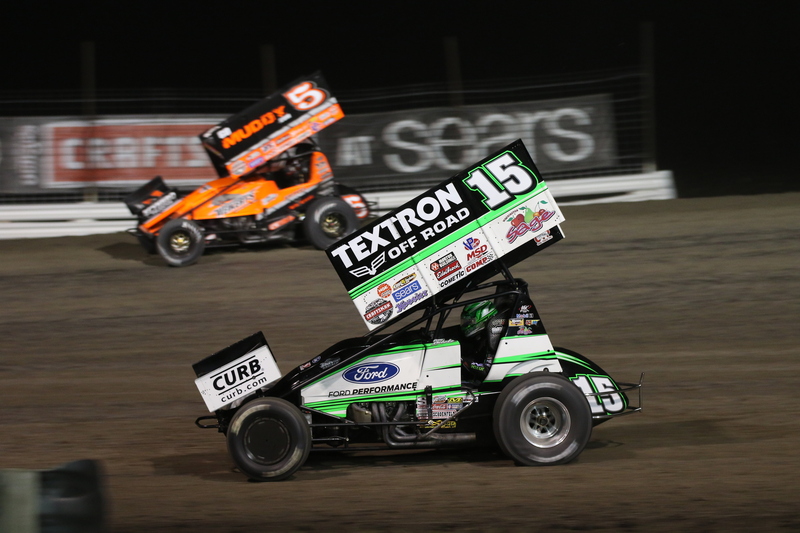 Donny Schatz (15) and David Gravel (5) battle for the lead during the World of Outlaws Sprint Car feature Saturday at Red River Valley Speedway in West Fargo. Allen, who inherited second following Gravel’s misfortune, remained within striking distance of Schatz in the closing laps, but Schatz held a steady line around the high side of the speedway to collect his fifth career World of Outlaws win at Red River Valley Speedway. Donny Schatz celebrates atop his Tony Stewart Racing No. 15 after winning the World of Outlaws Sprint Car feature Saturday at Red River Valley Speedway in West Fargo. The win made it a clean sweep for Schatz on the weekend in World of Outlaws competition. He also scored the win Friday night at River Cities Speedway in Grand Forks. The NLRA Late Models were also on the card for Saturday’s program. Three-time NLRA champion, Brad Seng, of Grand Forks, claimed the win. Seng had to best Schatz, who was pulling double duty, in a thrilling battle in the final stages. The two drivers traded the lead several times through lapped traffic, but Seng held on for the win. Feature – 1. 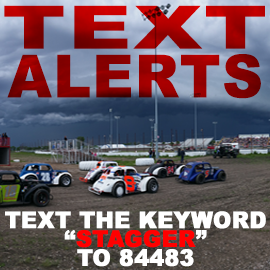 15 – Donny Schatz, Fargo, N.D.; 2. 1A – Jacob Allen, Hanover, Pa.; 3. 2 – Kerry Madsen, Sydney, NSW, Au. ; 4. W20 – Greg Wilson, Benton Ridge, Ohio; 5. 1S – Logan Schuchart, Hanover, Pa. Feature – 1. 12S – Brad Seng, Grand Forks, N.D.; 2. 42S – Don Shaw, Ham Lake, Minn.; 3. 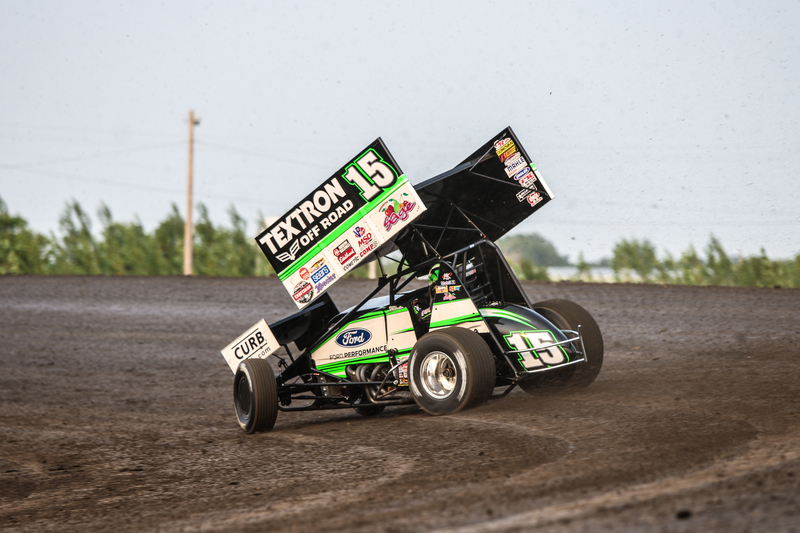 15 – Donny Schatz, Fargo, N.D.; 4. 37 – Scott Ward, Watertown, S.D. ; 5. 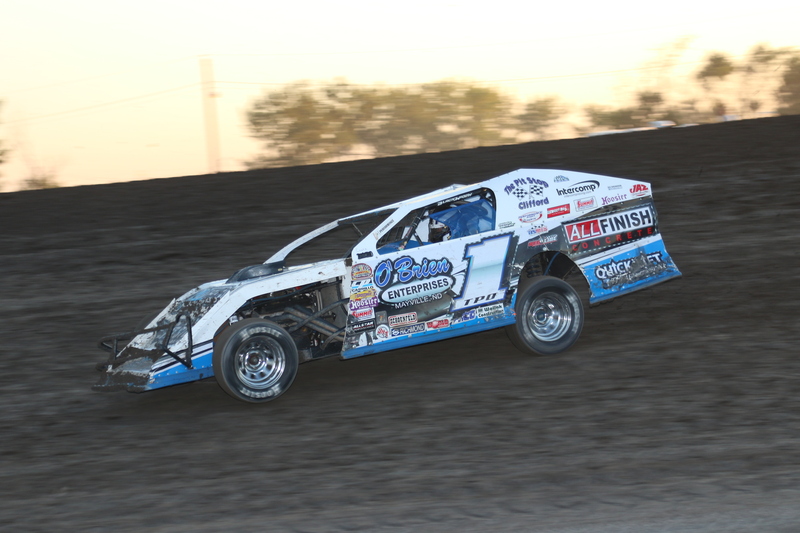 Dustin Strand, Grand Forks, N.D.
WEST FARGO – The IMCA Modifieds had extra bragging rights up for grabs Friday night at Red River Valley Speedway as they raced 48-laps for a $1,000 top prize. The 48-lap special event, originally scheduled for Rusty Wallace night which was rained out on July 20th, boasted a stout 19 car field. Casey Arneson of Fargo led every lap as he cruised to his second win of the season at Red River Valley Speedway. Dylan Goplen ran in the second spot early on after starting third. Behind him, Tyler Peterson was running third on lap seven when Rob VanMil made contact with him causing Peterson to spin. VanMil was charged for the caution and had to restart at the tail of the field. Peterson joined in back after going to the pit area to change a tire. Arneson stretched out his lead by a straightway before the mandatory fuel stop with 30 to go. Arneson took over another commanding lead as they went green again. With 15 remaining, Peterson had made his way back up to third place behind Arneson and his brother, Cale, who ran second from the 12th starting spot. Casey worked through lap traffic patiently, as cruised to the win unchallenged. 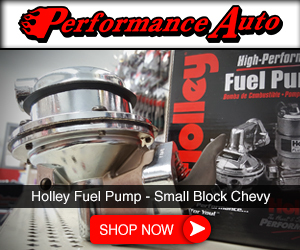 The Fargo Force Super Stock Series made their second and final appearance of the season. Colfax, North Dakota’s Brian Bernotas picked up a dominating win in the 12 lap feature. Bernotas took the lead from Jonathon Miller on lap two and never looked back. Bernotas’ margin of victory at the checkers was a whopping 4.3 seconds. In victory lane, an emotional Bernotas announced his retirement from the sport, bringing a very successful and storied career to an end. Luke Johnson of Moorhead, Minn. backed up his win Thursday night at Norman County Raceway in Ada, Minn. with another IMCA SportMod win Friday at Red River Valley Speedway. Taylor Grove led the opening laps of the feature until Matt Talley took the top spot. Johnson moved into second with 11 of 18 laps remaining. Johnson quickly set his sights on Talley for the lead and made the winning pass with eight to go. From there, Johnson set sail and collected his fourth win in the last two weeks. Rick Schulz showed the way at the drop of the green flag for the IMCA stock car feature. Schulz led Rob VanMil of Barnesville, Minn. until he spun on lap six of 14. VanMil inherited the lead on the ensuing restart, but couldn’t hold off stock car rookie, Brandon Schmidt. Schmidt took the lead with five circuits remaining, but VanMil would rally for one last bid for the lead. VanMil executed some last lap heroics as he pulled even with Schmidt as the white flag flew and took the lead. VanMil won the race back to the checkers to collect his fourth stock car win of the season at the speedway. 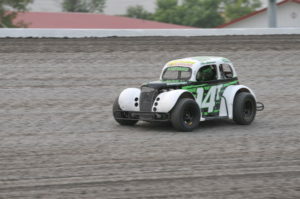 Tim Estenson, who scored three feature wins last Sunday evening at Buffalo River Race Park in Glyndon, Minn., achieved a milestone win in the INEX legend division. Estenson led all 16 laps of the feature en route to his 50th career win. 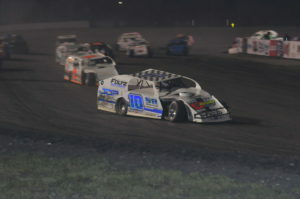 Sean Johnson remained within striking distance of Estenson early, but the Fargo driver eventually stretched his advantage to over a full straightaway around the high-banked three-eighths-mile clay oval. The win was Estenson’s 24th of the season. After getting passed by Adam Goff around the halfway point of the IMCA hobby stock feature, Nick Nelson of Georgetown, Minn. made the high lane work following a restart with four to go to regain the point. Nelson went on to win his second race of the season. The World of Outlaws Craftsman Sprint Car Series returned to Red River Valley Speedway on Saturday. Feature – 1. 2-Casey Arneson, Fargo, N.D.; 2. 99-Cale Arneson, Fargo, N.D.; 3. 1TPO-Tyler Peterson, Hickson, N.D.; 4. 88B-Brady Petermann, Hawley, Minn.; 5. 6D-Dylan Goplen, Fargo, N.D. Feature – 1. 43-Brian Bernotas, Colfax, N.D.; 2. 40-Shawn Schnabel, Aberdeen, S.D. ; 3. 76-Jonathon Miller, Enderlin, N.D.; 4. 49-Tim Compson, Valley City, N.D.; 5. 11-William Wadeson, Alice, N.D. Feature – 1. 8J-Luke Johnson, Moorhead, Minn.; 2. 5-Scott Jacobson, Fargo, N.D.; 3. 51-Kelly Jacobson, Fargo, N.D.; 4. 3W-Aaron Wetterlin, Moorhead, Minn.; 5. 1RM-Taylor Grove, Shelly, Minn. Feature – 1. 40-Rob VanMil, Barnesville, Minn.; 2. 219-Brandon Schmidt, Hillsboro, N.D.; 3. 4-Rick Schulz, Horace, N.D.; 4. 38-Todd Heinrich, Fargo, N.D; 5. 18-Mike Anderson, Walcott, N.D. Feature – 1. 14T-Tim Estenson, Fargo, N.D.; 2. 58-Sean Johnson, Kindred, N.D.; 3. 8JR-Kaitlyn Skalicky, Fargo, N.D.; 4. 5-Dean Julsrud, Barnesville, Minn.; 5. 69T-Joshua Julsrud, Barnesville, Minn. Feature – 1. 31X-Tim Shiek, Fargo, N.D.; 2. 73-Maranda Borg, Harwood, N.D.; 3. 3XL-Brad Orvedal, Fargo, N.D.; 4. 14-Alyssa White, West Fargo, N.D.; 5. 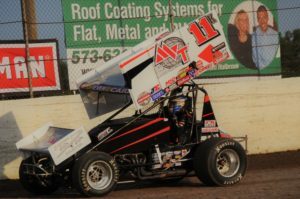 106-Eric Novacek, West Fargo, N.D.
WEST FARGO – On Saturday, the World of Outlaws Craftsman Sprint Car Series returns to Red River Valley Speedway. The event will mark the second consecutive year and the 32nd time overall the World of Outlaws have visited the high-banked three-eighths-mile dirt oval on the Red River Valley Fairgrounds. 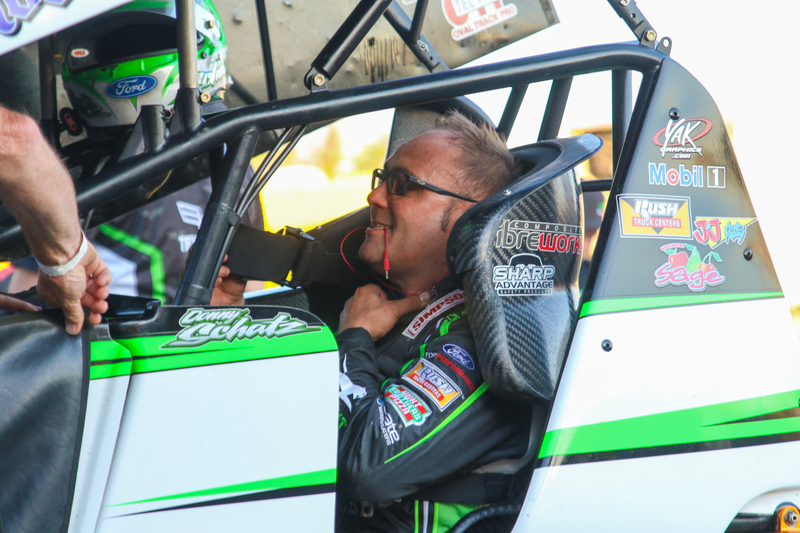 Leading the way will be nine-time and defending World of Outlaws champion and Fargo’s own, Donny Schatz. The grueling World of Outlaws tour takes the best sprint car teams in the world all across the country to nearly 100 events from February to November. Donny Schatz straps into his No. 15 World of Outlaws Sprints Car. For Schatz, returning to his hometown, home track, and home fans, can be a breath of fresh air. 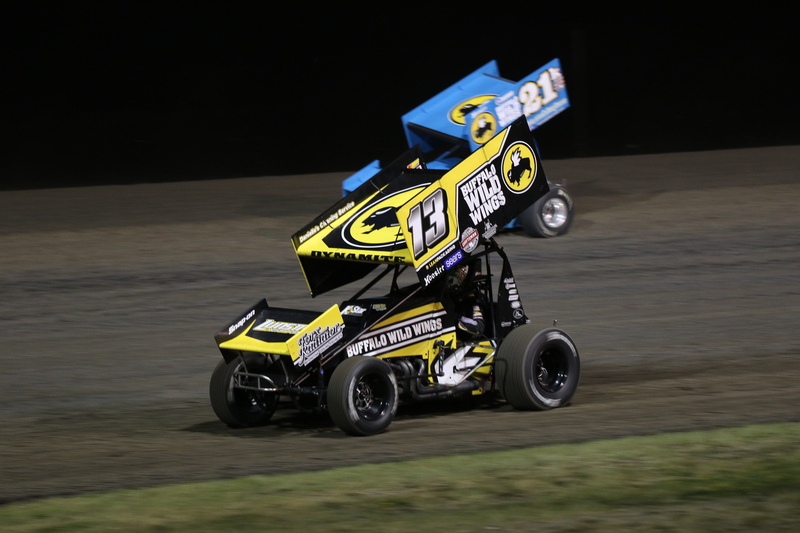 In the World of Outlaws’ highly-anticipated return to the speedway last August, Schatz started seventh and finished fifth in the $10,000-to-win, 30-lap feature. The late Jason Johnson of Eunice, Louisana scored the win in what was his only World of Outlaws victory in the state of North Dakota. Schatz leads all active World of Outlaws drivers with four career wins at Red River Valley Speedway, albeit on the former half-mile configuration. Schatz’s first win came in 2002, but he hasn’t won at his home track since 2006. 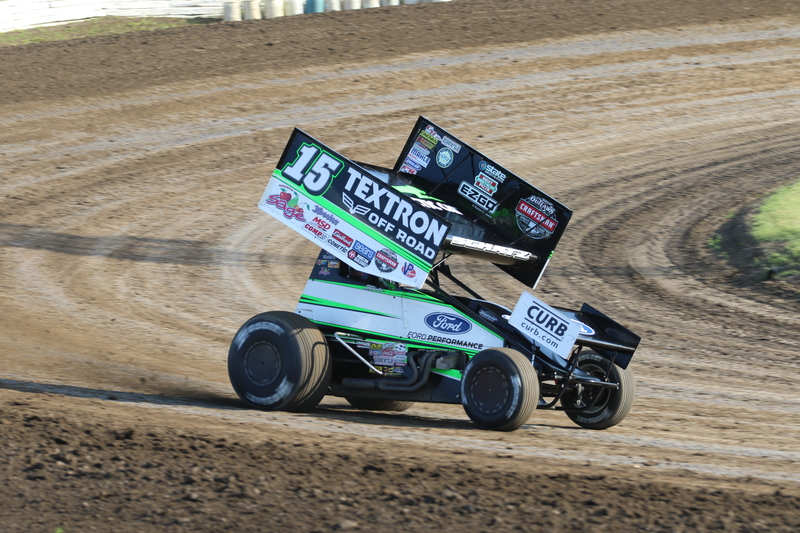 Donny Schatz and the World of Outlaws return to Red River Valley Speedway in West Fargo on Saturday. This weekend’s World of Outlaws events at River Cities Speedway in Grand Forks on Friday and Red River Valley Speedway on Saturday come off the heels of the biggest event in sprint car racing, the Knoxville Nationals in Knoxville, Iowa. Schatz was eyeing his 11th career Knoxville Nationals title last weekend. After a torrid battle with Monster Energy NASCAR Cup star, Kyle Larson, and Brad Sweet, who drives for another NASCAR star, Kasey Kahne, Schatz took the checkers in the runner-up spot to Sweet in what was the second closest finish in Knoxville Nationals history. Still, with the second place finish, Schatz extended his streak of finishing either first or second at the Knoxville Nationals to 14 consecutive years – a feat that is unrivaled. Schatz will be looking for the season sweep at River Cities Speedway on Friday. Schatz won the first race of the season at the high-banked three-tenths mile oval on June 15, which was his series-leading 10th career win at the track. In the 22 World of Outlaws events held at River Cities Speedway, Schatz has never finished worse than seventh. Photo: Donny Schatz takes the checkers in front of a capacity crowd on June 15 at River Cities Speedway in Grand Forks. While it takes an extremely talented driver to achieve those consistent numbers, Schatz credits his Tony Stewart Racing crew for giving him a good, reliable car night in and night out. Along with running his No. 15 sprint car on Friday and Saturday, Schatz will also be running his NLRA Late Model. The 800 horsepower machines will serve as the support class for the World of Outlaws both Friday and Saturday night. Schatz got into late model racing nearly five years ago and has taken a liking to the full-fendered race cars. Along with his sprint car, Donny Schatz will also be racing his late model at Red River Valley Speedway on Saturday. Schatz finished fifth with the NLRA Late Models at River Cities Speedway in June but picked up a win with the series on August 4 at Nodak Speedway in Minot. He has six career NLRA wins, including last August at Red River Valley Speedway. Entering the weekend, Schatz holds a 198 point lead over Brad Sweet atop the World of Outlaws point standings as he chases his 10th series title. The Fargo driver took the point lead on the second race of the season at Volusia Speedway Park in Barberville, Florida on February 10th and hasn’t looked back. While Sweet will close the gap from time to time, he hasn’t been able to keep pace with Schatz’s series-leading 15 wins, 35 top fives and 44 top tens through the first 46 events. 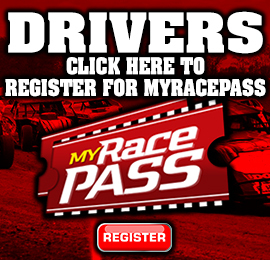 Tickets for Saturday’s World of Outlaws event at Red River Valley Speedway can be found at slspromotions.ticketforce.com. Where: Red River Valley Speedway – West Fargo, N.D.
WEST FARGO, N.D. — August 16, 2018 — The size and configuration of the track at Red River Valley Speedway may have changed over the years, but the end result has remained the same for Kraig Kinser. And that is putting together consistent runs and solid finishes. The native of Bloomington, Ind., has always been strong at the fairground ovals, dating back to the early days of his career and time on the road with the World of Outlaws Craftsman Sprint Car Series. Kinser and his fellow World of Outlaws Craftsman Sprint Car Series competitors hit the track at Red River Valley Speedway in West Fargo, N.D., this weekend on Saturday, August 18 for the Gerdau Recycling Duel in the Dakotas. Last season, Kinser finished fourth in the 30-lap main event at Red River Valley Speedway. He opened the night as the fourth-fastest driver in time trials and followed that up with a win in the first heat race, which put him in the dash. Kinser was victorious in the dash to earn the pole position for the main event. The 2005 World of Outlaws Craftsman Sprint Car Series Kevin Gobrecht Rookie of the Year is quick to point out how important being fast early in the night is. 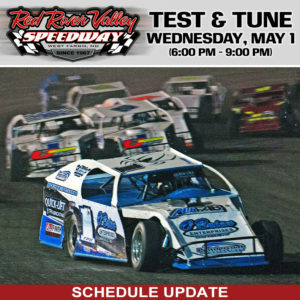 This year’s event will mark the second consecutive race for the Outlaws on the re-configured three-eighths-mile at Red River Valley Speedway. Earlier in his career, Kinser made several starts on the original, sprawling half-mile. Kinser finished a career-best third in Fargo in 2005. He finished fourth last year on the three-eighths-mile, which marked his second straight top-five run on that configuration. In his career, Kinser has nine top-10 finishes in 13 starts at Red River Valley Speedway. Kinser who entered this season with 17 career World of Outlaws Craftsman Sprint Car Series feature wins, is still chasing his first victory of the 2018 campaign. 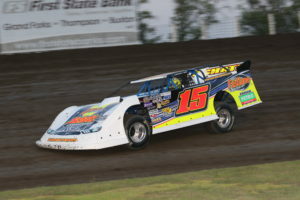 He finished a season-best fourth at Ransomville Speedway in New York on July 30. Kinser led 20 laps in the opener of the Ironman 55 Weekend at I-55 Raceway in Missouri on August 3. He is currently 10th in the series standings. The 2018 season for the World of Outlaws Craftsman Sprint Car Series has been plagued by inclement weather. That trend began on the West Coast early in the season and continued into the spring in the Midwest and on the East Coast. Being a veteran of the series, Kinser has dealt with similar seasons in the past. Oftentimes drivers point to the stretch after the Knoxville Nationals as being a more relaxed time of the season as they head to the West Coast. Kinser looks at every race the same way, with each holding the utmost importance and the one they are trying their hardest to win. Tickets for the Gerdau Recycling Duel in the Dakotas, featuring the World of Outlaws Craftsman Sprint Car Series and NLRA Late Models at Red River Valley Speedway in West Fargo, N.D., on Saturday, August 18 can be purchased in advance online https://slspromotions.ticketforce.com or by calling 815-344-2023 and at the track on race day. WEST FARGO, N.D. – August 14, 2018 – The Gerdau Recycling Duel in the Dakotas is just around the corner for the World of Outlaws Craftsman Sprint Car Series at Red River Valley Speedway in West Fargo, N.D., on Saturday, August 18. The series returned to the three-eighths-mile last year, after a five-year hiatus. The late Jason Johnson added his name to the record books as a winner at Red River Valley Speedway. The event this season will mark the fourth and final race of the season for the series in the state of North Dakota. 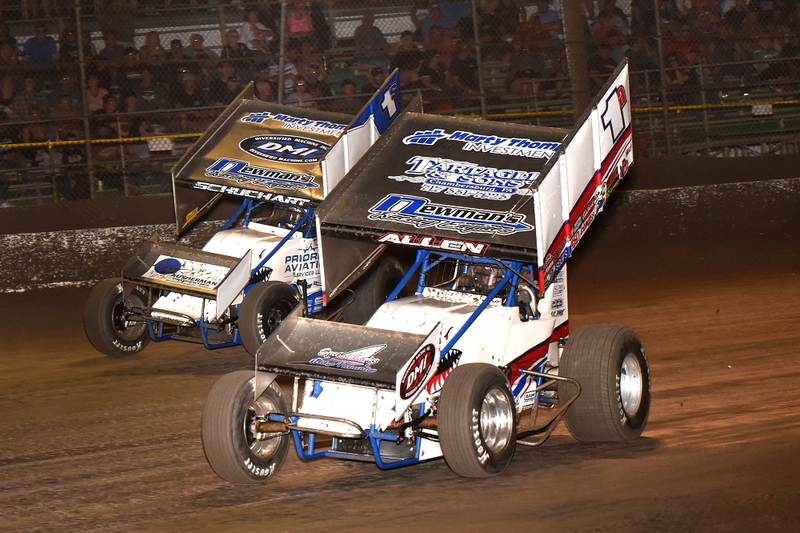 This edition of Up to Speed sets the stage for this year’s Duel in the Dakotas for the World of Outlaws Craftsman Sprint Car Series at Red River Valley Speedway. Donny Schatz is the winningest active full-time World of Outlaws Craftsman Sprint Car Series driver at Red River Valley Speedway with four victories. 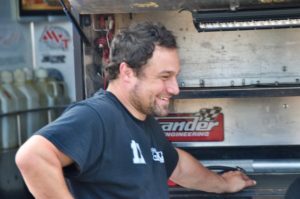 Schatz, who raced with the Outlaws for the first time at the track in 1993 as a teenager, won for the first time at Red River Valley Speedway in 2002. He followed that up with a win in 2003 and swept both nights of the Duel in the Dakotas in 2006, the season he won his first World of Outlaws Craftsman Sprint Car Series championship. Daryn Pittman, the 2013 series champion, won at Red River Valley Speedway in 2008. The veteran driver won earlier this season in North Dakota at Nodak Speedway in Minot and is also a past winner at River Cities Speedway in Grand Forks. Donny Schatz, who calls Fargo home, has had a great amount of success at Red River Valley Speedway over the years. Along with his four wins, he has 27 top-10 finishes, with 14 of those being top-five performances. Those stats lead all current active full-time drivers with the series. Schatz won earlier this season in his home state at River Cities Speedway in Grand Forks. Daryn Pittman and Jason Sides have each made 20 or more starts with the World of Outlaws Craftsman Sprint Car Series at Red River Valley Speedway. 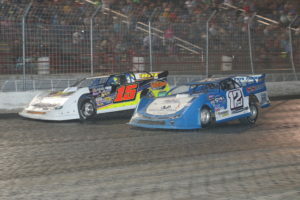 Pittman, who won at the track in in 2008, has 10 career top-10 finishes at the track, with the majority of those coming on the former half-mile configuration. 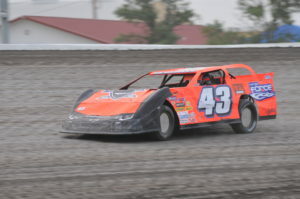 Sides has six top-10 finishes in his career at Red River Valley Speedway, with two of those being top-fives, including a runner-up performance in 2007. Shane Stewart has four straight top-10 finishes at Red River Valley Speedway. The Oklahoma native, who now calls the Indianapolis area home, finished a career-best third last year at the venue, after opening the night by setting a new track record in time trials. Stewart has six top-10 finishes over the years at the three-eighths-mile. Kraig Kinser has nine top-10 finishes in 13 main event starts in his career at Red River Valley Speedway. The native of Bloomington, Ind., who has four top-five finishes at the track, including a best run of third in 2005. Kinser ran fourth last season at Red River Valley Speedway. Brad Sweet made his debut at Red River Valley Speedway in 2011, with the Arctic Cat All Star Circuit of Champions, finishing second in that event. He returned to the track in 2017 and ran eighth with the World of Outlaws Craftsman Sprint Car Series. Sweet heads to North Dakota this weekend, fresh off the biggest win of his career in the Knoxville Nationals last weekend. David Gravel and Greg Wilson both look to turn their fortunes around, after having tough nights at Red River Valley Speedway last season. The pair of drivers had both raced at the oval in the past with the Arctic Cat All Star Circuit of Champions. Gravel recorded four top-10 finishes in All Stars event at the track. 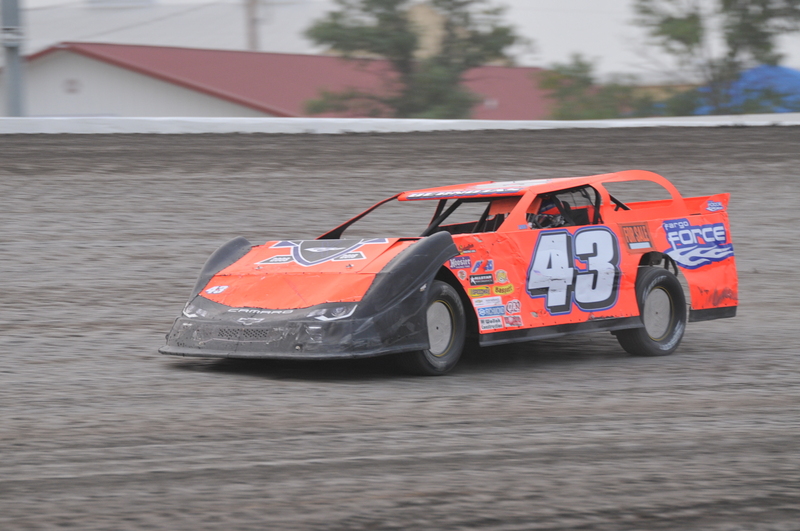 A handful of drivers saw Red River Valley Speedway for the first time last season. Among them were Sheldon Haudenschild and Brent Marks, who battled for the rookie title. Also, the Shark Racing duo of Logan Schuchart and Jacob Allen were visiting the three-eighths-mile for the first time. Ian Madsen, who is in his first full season with the Outlaws this year, also visited Fargo for the first time in 2017. The NLRA Late Model Series will part of the Duel in the Dakotas, which marks their only visit of the season to Red River Valley Speedway. Dustin Strand is the current series point leader on the strength of a series-best three wins. Brad Seng is currently second in points. Mike Balcaen has a pair of NLRA victories, while Ricky Weiss and Donny Schatz also have been victorious. Tickets for the Gerdau Recycling Duel in the Dakotas, featuring World of Outlaws Sprint Car Series, along with the NLRA (Northern Late Model Racing Association) at Red River Valley Speedway in West Fargo, North Dakota, on Saturday, August 18 can be purchased online at slspromotions.ticketforce.com or by phone at 815-344-2023, as well as at the track on race day. WEST FARGO, N.D. — August 9, 2018 — The World of Outlaws Craftsman Sprint Car Series invades Red River Valley Speedway in West Fargo, N.D., on Saturday, August 18 for the Gerdau Recycling Duel in the Dakotas. The late Jason Johnson was victorious at Red River Valley Speedway last year in his debut at the track. The 2016 winner of the Knoxville Nationals held off a hard-charging Kerry Madsen and Donny Schatz for the win. Donny Schatz, who calls Fargo home, has won four times in his career at Red River Valley Speedway, including winning both nights of the 2006 Duel in the Dakotas. 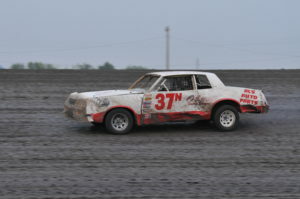 The nine-time and defending series champion raced with the Outlaws for the first time at Red River Valley Speedway as a teenager in 1993, finishing 15th. Entering this year’s Duel in the Dakotas, Schatz leads the point standings on the strength of 15 wins. Brad Sweet is currently second in points and has three wins thus far in 2018, while David Gravel sits third in the standings on the strength of five wins. Daryn Pittman, who also has five wins is currently fourth in points, with Shane Stewart, who has one victory this season, rounding out the top-five. Sheldon Haudenschild, who has four wins this season, is tied for sixth in the standings with Logan Schuchart, who recently scored his first win of 2018 in the finale of the Ironman 55. Rookie contender Ian Madsen in currently eighth, with Brent Marks, who has two wins in ninth and Kraig Kinser in 10th. Just outside of the top-10 in points is Jacob Allen, along with veteran drivers Jason Sides and Greg Wilson. Also in action during the Gerdau Recycling Duel in the Dakotas will be the NLRA Late Models, making their only visit of the season to Red River Valley Speedway. 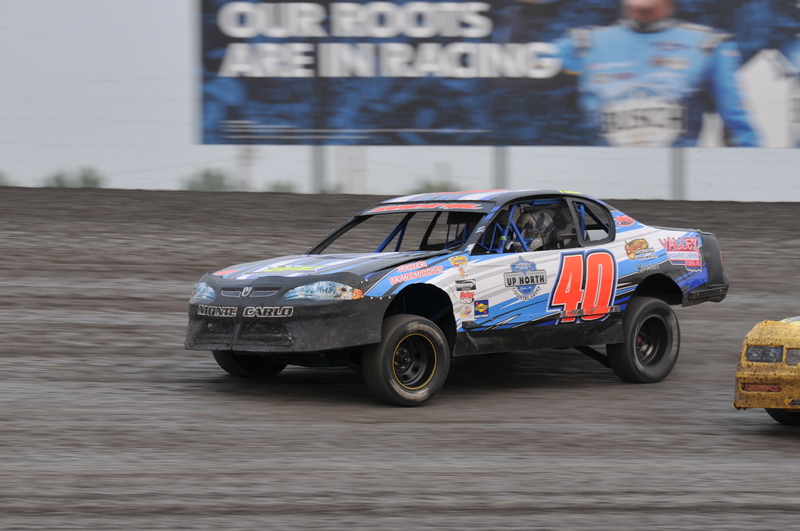 Dustin Strand leads the current series standings over Brad Seng. Strand also sits atop the leaderboard with three victories. Mike Balcaen, who has a pair of wins is third in points, with Shane Edington fourth and Troy Schill fifth. 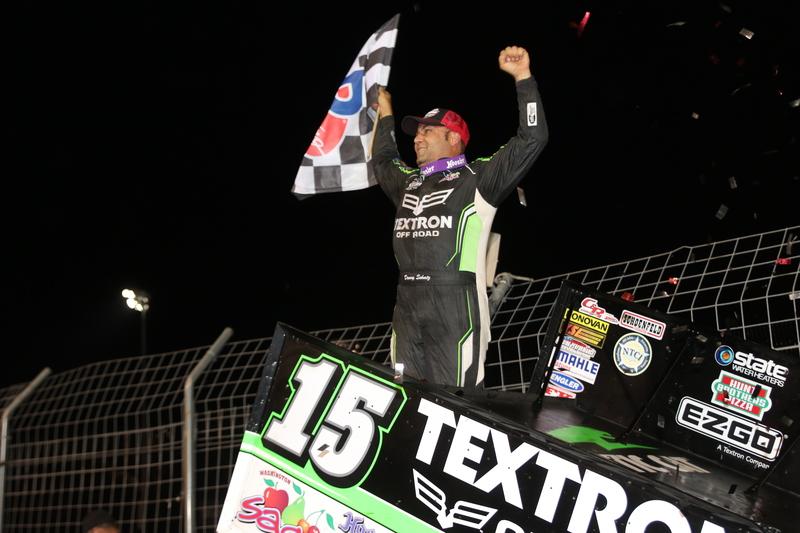 Donny Schatz was victorious with the series on August 5 at Nodak Speedway in Minot. Tickets for the Gerdau Recycling Duel in the Dakotas, featuring the World of Outlaws Craftsman Sprint Car Series and NLRA Late Models at Red River Valley Speedway in West Fargo, N.D., on Saturday, August 18 can be purchased in advance onlinehttps://slspromotions.ticketforce.com or by calling 815-344-2023 and at the track on race day.